Two weeks ago I decided to prep my development VMWare Workstation in anticipation of the yet-to-be-announced SharePoint 2010 beta 2 release. After some futile attempts at installing W2K8 server, I realized that it was time to upgrade my VM software from version 6 to 7. After forking out the $99 (well worth it IMHO), I encountered the first hurdle when attempting to create the VM: my machine was not "VT enabled"... Apparently my host machine, which is a HP dt5000 desktop with 8GB of RAM and two quad cores wasn't up to the task :-O VT stands for Virtualization Technology and it's basically the processor equivalent of a V8 Dodge Challenger. From the moment PDC09 began, the blogosphere has been alight with posts about installing this beta, so I'm not going to give overly-detailed instructions. Instead, I want to focus in on the gotchas that can make this an unpleasant experience for non-admin devs like myself. 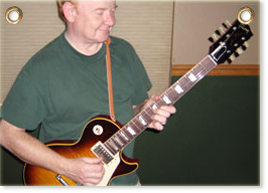 I'm also providing the links you need at the end of this post. As I write, I have just (successfully) re-created the install of SharePoint on my VM for the third time, in an efort to get this right. Previous attempts resulted in various errors, which though unforseen, were still my fault. One tip: I use VirtualCloneDrive to mount my ISO (DVD) images when creating VMs and it works on 64-bit. I also use ClamWin Anti-Virus for 64-bit. Create a strong password for your (admin) account with a mix of at least capital and small letter and numbers - you'll see why in a bit. After the OS is installed, if you start getting license activation errors in the log, go to Start -> Control Panel and click on the "Change Product Key" link. When prompted, enter your valid licensed product key and the product activation will complete successfully. You may also want to install the KB 971831 hotfix which "provides a method to support the token authentication without transport security or message encryption in WCF is available for the .NET Framework 3.5 SP1." Important: If you plan to run Windows PowerShell cmdlets that affect a database, this account must be a member of the db_owner fixed database role for the database. Next, grab Powershell 2.0 and install it. The SharePoint Pre-Requisites checker failed on this for me several times because of the older version of Powershell being present. Important: Do not run the Products and Technologies Configuration Wizard after the wizard completes. With the 2010 version we cannot automatically run everything with a local account. This is retarded because in most cases people do not want to set up AD and DC for a simple dev VM. Luckily, there is a workaround with Powershell - just follow the simple steps and use the strong password we created earlier, when prompted. Now we can run the Products Configuration Wizard from the Start menu and use our local account when prompted for such info by the wizard. On completion, you will be presented with the Farm Configuration Wizard - take the dummies option (default) and you will be led by the reins to the complete setup of your site collection and top level home site. This is a huge improvement over the 2007 version. What's even better is that with the introduction of the new Service Application Architecture we no longer have to go through the process of creating the now deprecated Shared Services Provider (SSP). I have since been re-building my machine and I would like to point out something that I missed the first time around: before manually installing Powershell 2.0, you have to uninstall the 1.0 version that comes with the OS. You can do this by clicking on the 'Remove Feature' link in Server Manager. But changing the values (eg server etc) to reflect my setup. 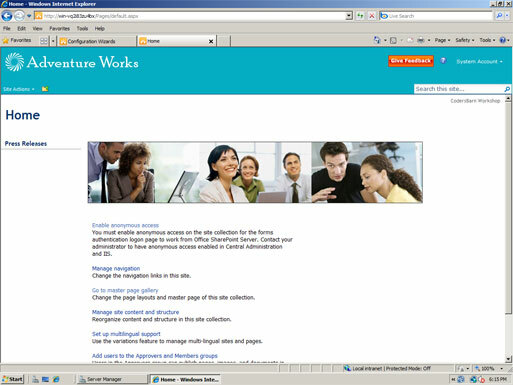 1) To begin with carry out your SharePoint 2010 installation using the advanced option and complete as the server type. This is recommended in a farm configuration. However, you stated to do this after the Powershell stuff. How can I do this when Sharepoint is not yet installed? (The workaround did mention installing it). 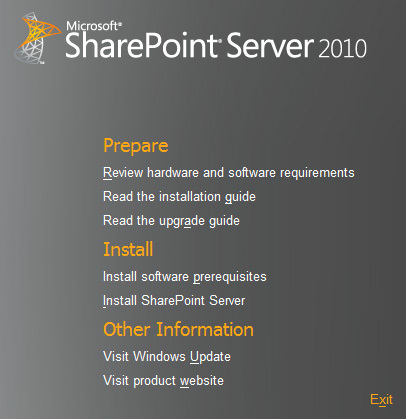 1) Install SharePoint using the "Server Farm" and "Complete" options. At this stage we have not yet run the wizard to create the Central Admin or Config DB. 2)Go to your Start menu and locate the SharePoint 2010 Management Shell. Use "Run as Administrator". Don't bother using the PSCONFIG command - we will use the wizard GUI instead. Now, issue the command beginning with: "NEW-SPConfigurationDB". Enter username and password when prompted. I ran the prerequisites checker and it ended by saying all prerequisites are enabled/installed. But I don't see the Sharepoint 2010 Management Shell anywhere? Install SharePoint - it's the link below the one you just clicked on to run the pre-requisites checker. I haven't made the db, I assume the command will do that automatically? The farm credentials are of those I made in SQL Server for that account with those specified server roles (a basic auth type popup came up asking me for credentials at this stage), passphrase I made up. MSSQLSERVER is the instance name (default) but I can login to SQL Server by using (local) as the instance name. Is this fine? I also reinstalled Microsoft Geneva Framework Runtime for x64 manually, although I had the right version anyway (sharepointsolutions.com/.../). Yes, the command will create the DB for you. One thing: the DB server name should be WIN-7S94LPRA2A0... the name and password should match those for the DB instance. For a Dev machine, just do what I did - use the machine admin login name and password for everything. For production, refer to the documentation on TechNet. Try again with the correct DB server name? I see. I have gone through the command again making the changes you recommended. New-SPConfigurationDatabase : The user does not exist or is not unique. However, the objects are created in SQL Server. I have two admin databases (one being the one I specified in the command), and a bunch of SPs. Did you have some other query window open at the same time? Restart the DB server and try again. The last error about a transport-level error was one-off and due to network reasons (maybe something went down in the network) but this error has not repeated itself. The error about the user keeps repeating, even though I have installed the Geneva Framework MSI. You mentioned two DB's and a bunch of SP's - not sure what you mean by this but I would re-start with a clean slate. When this type of thing would happen me with MOSS 2007 I would actually re-install the OS on my VM and start again. I would add doing an install with win2008 R2 makes things a little easier as a few of preqs for SharePoint are inbuilt and can be enabled as a feature such as .Net Framework 3.5. You might want to add a powershell IDE e.g. http://www.powergui.org/index.jspa. I have done the instructions and everything is working.. thanks for the instructions.. really appreciate it.. I just installed the RTM version of Sharepoinit Foundation 2010 on my virtual machine. My host is 32 bit Windows 7 with 4 GB RAM (3.3 GB usable) dual core. I installed the free VM Ware player (which supports 64 bit gueses even on a 32 bit host provided you have a 64 bit CPU). I installed Windows Server 2008 R2 x64, then sharepoint foundation (which installed all prerequisites along with SQL Express x64). It was all very simple and worked perfectly. While installing, I allocated 1.8 GB RAM to the virtual machine. After the installation had finished I lowered it to just 1.2 GB and it is running a dream. I am now using Visual Studio 2010 on the 32 bit host, connecting to the 64 bit virtual machine doing dev against it and it is working really well (creating a service reference / OData stuff). I must say, I am happy and thought it would be harder than this! Very interesting post keep writing like this.